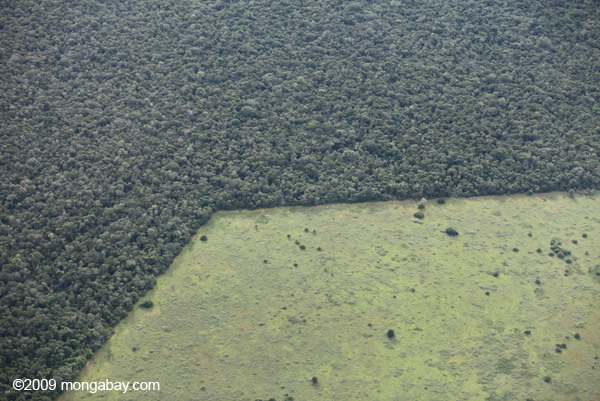 Indigenous and forest-dependent peoples from Asia, Africa and Latin America have called for increased recognition of customary land rights in order to curb deforestation and ensure the survival of their communities. “We, forest peoples, are being pushed to the limits of our endurance just to survive,” a coalition of community representatives and NGOs said in a declaration released on Wednesday. The Palangkaraya Declaration on Deforestation and the Rights of Forest Peoples calls on governments to uphold forest peoples’ rights to control and manage their customary lands and to halt rights-violating development projects being carried out without consent from local communities. The statement was drafted during a week-long conference in Palangkaraya, Indonesia, where members of forest communities met with environmental, human rights and indigenous rights activists to discuss deforestation and the threats faced by forest peoples as their lands are increasingly encroached upon by large-scale agribusiness, logging and mining projects. 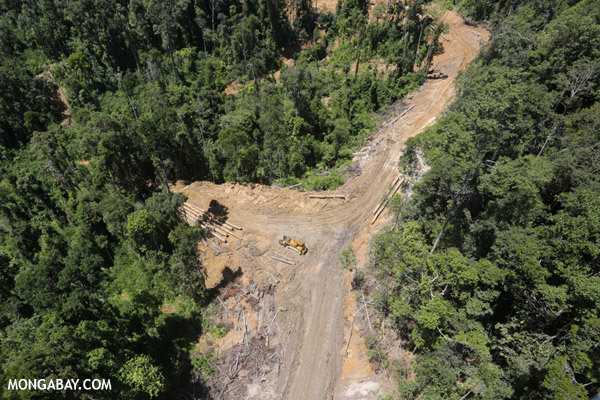 “Our lands are being taken over and our forests are being cleared to produce timber, palm oil, soya, minerals, oil and gas for global and domestic markets and for infrastructure and hydro-power,” the statement read. “Often these impositions are part of large-scale development programs elaborated by governments and corporations without our involvement and funded by international development agencies,” the declaration continued. 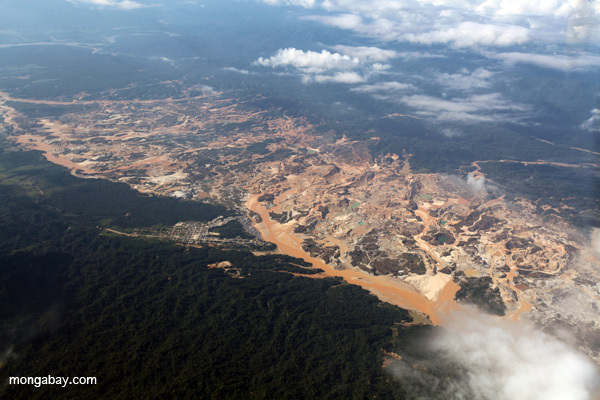 During the conference, participants found that environmentally destructive development projects that disregarded the rights of forest communities were being carried out in all the regions represented. Even in areas where national or local laws recognize indigenous land rights, participants found that these regulations were often disregarded on the ground. “Threats to indigenous peoples’ forests are similar worldwide,” Carmenza Tez Juogibioy, an indigenous people’s leader from Colombia said in a press release accompanying the declaration. 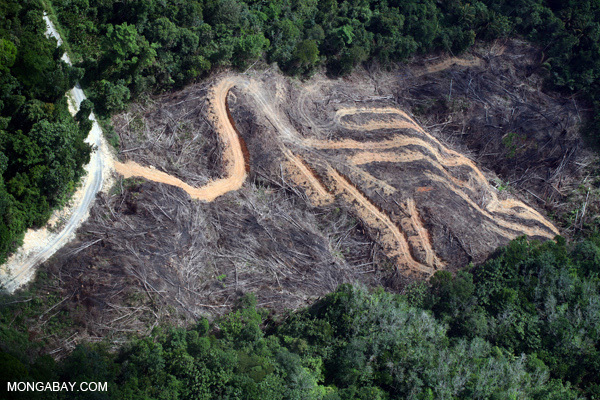 “States and companies carry out deforestation despite this violating the rights of forest communities. Governments mostly disregard our just demands, but we will continue to fight for respect for our lands and territories and respect for human rights, which are the source of life for our peoples,” she added. 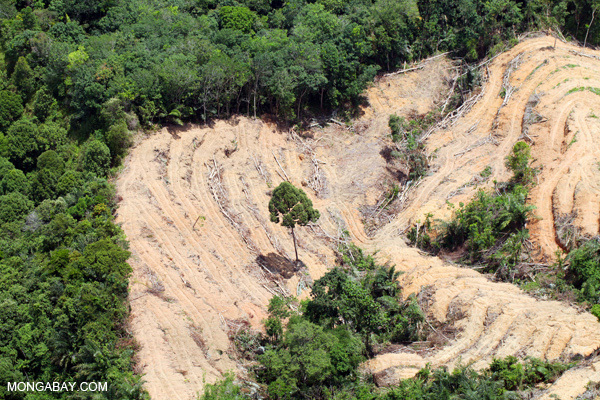 The declaration stressed that while “global efforts to curb deforestation are failing,” the international community could help reverse that trend by putting indigenous rights at the center of conservation efforts and bringing land back under the control of groups who have successfully and sustainably managed forests for generations. “The forest feeds and takes care of us,” said Marceline Louanga, an indigenous community representative from Cameroon. The conference was held from March 9-14 in the capital city of Central Kalimantan, a province in Indonesian Borneo. 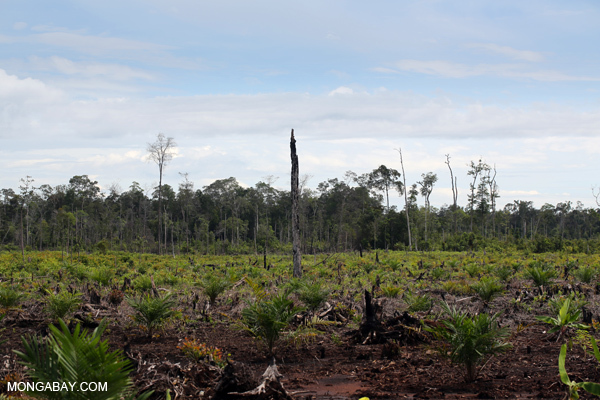 Despite being designated as Indonesia’s Reducing Emissions from Deforestation and Forest Degradation (REDD+) pilot province in December 2010, Central Kalimantan has seen large forest and peatland areas cleared for palm oil, often by companies illegally expanding plantations beyond their concession boundaries. Residents of Kapuas district in Central Kalimantan explained that as companies have come in, communities have not only lost their traditional lands, they have also lost access to clean water and other environmental services, even suffering from rat infestations they believe were caused by the nearby plantations. Participants from Central Kalimantan also expressed frustration that even conservation activities such as national parks or REDD+ projects frequently ignored community rights, a sentiment echoed by participants from other countries. “Orangutans were we come from are being fed milk while our children are being left to starve,” one Kapuas resident said during a visit by participants to Gohong village near Palangkaraya on March 12. By ignoring community rights and denying local people their livelihoods, government and private sector efforts to protect forests can often end up creating “further conflicts and instability,” the declaration read. “‘Green grabs’ are not the solution to land grabs,” it added. “Communities have proven the ability to manage the forests for many generations,” said Edy Subahani of the Palangkaraya-based organization POKKER SHK Kalteng. “They have innovative knowledge to protect the forest and develop food and economic livelihoods as well as spiritual life within the forest. They also contribute to local and national and participate in the restoration of damaged forest. Governments should empower and develop these communities’ skills and knowledge,” Edy said. POKKER SHK Kalteng co-organized the conference together with the Jakarta-based organization Pusaka and Forest Peoples Programme in the UK. Over 50 organizations and community representatives participated in the conference and were signatories to the March 18 declaration.